Less simply, I enjoy being at the intersection of product design and brand identity, building beautiful software that scales. I’ve always been a self-starter, whether I was photoshopping ex’s out of family photos for extra cash as a teenager, or trying to build a knock-off version of Hot or Not for fashion, called Keep or Burn. My list of side projects is long. I’m self taught, having learned to apply my dreams of becoming an artist and designer to the web. I’ve now been designing in this space for over 15 years. What’s needed is an equal blend of engineering, business acumen, user experience, and design thinking. To raise the bar and build successful products, a healthy diet of listening, collaboration, humility, playfulness, and asking the right questions are incredibly important. I’m currently leading design for a real estate based tech company. 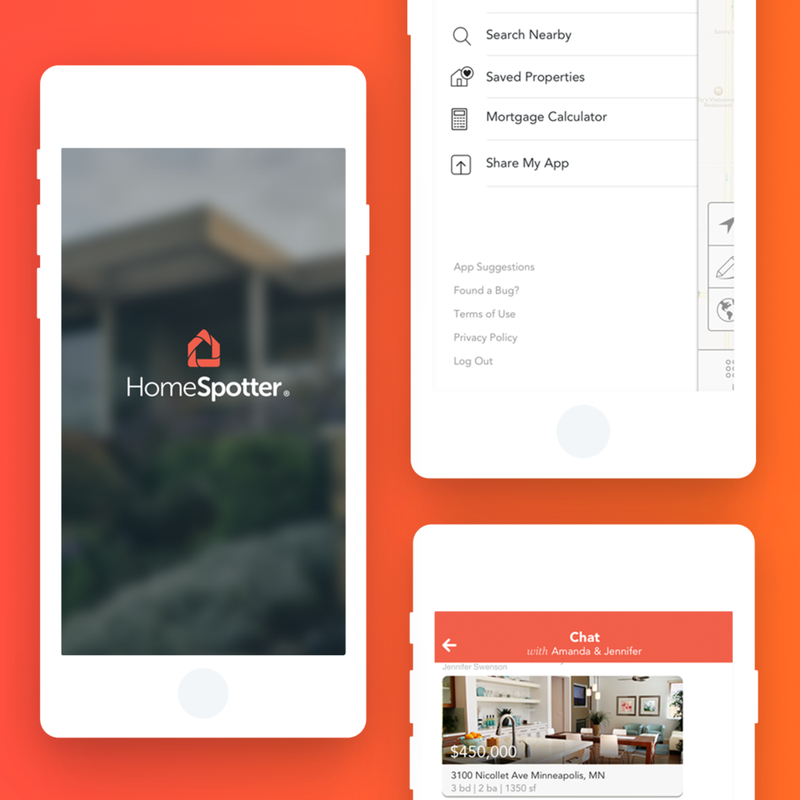 We build software as a service (SaaS) products that help build better relationships between real estate agents and home buyers. We’re also doing some fancy things like digital marketing automation for enterprise brokers. Think marketing property listings in the thousands, created programmatically. Since I also highly value the fr$$lance lifestyle, I’m in the middle of refreshing a swim school’s brand identity and website, and building a web app that utilizes IBM Watson’s AI tech to make it easier for marketers to create effective media strategies. That’s a mouthful! 95% of what I design for most days involves straight up text. I enjoy focusing on typography as being accessible, legible, and branded. A good example would be the work I’ve done in real estate, where its core feature is messaging between an agent and a homebuyer, using only visuals and text. In the end, it’s minimalistic and clean. It’s a cliche answer, but I love taking away the unnecessary artifacts that get in the way of clear messaging. I love products like Robinhood, whose mission is as clear as its interface full of data. Peloton is another incredible brand that uses clear-as-day data to motivate you to live a healthier life. Brands that blend strong, useful design into their products like these are inspiring. I would love to speak publicly or hold events more often than I do now, which is never. I’m pushing myself to write more often as well, which can be found at Plan Your Next. It’s frustrating that my LA network is very small. I moved here in January—with zero network—and I’m just starting to get my feet wet. It’s all about relationships. I would have told myself to maintain a blog early on, keep writing, and invest in relationships. Also, sleep more and eat healthier you unhealthy goon. I would look for a writing coach, or someone to help with big-picture thinking surrounding my business ideas. My bread and butter: I’m looking for small to mid-sized companies that are building or want to build beautiful digital products that scale, with a capital “S.” Typically these are SaaS based products or B2B’s solving problems using data. But, I also love getting my hands dirty with smaller branding projects, whether it’s a design system, or a new identity that needs to be created from the ground up. My ideal client is a company or individual who is mission-based, utilizing technology to help find solutions for their goals. My clients are comfortable collaborating remotely, they understand their customer needs, they know the value that great design brings, and are extremely passionate about what they’re building. I generally bill on a per-project basis. For a months-long engagement to design a full web or native app, those projects tend to start out around $10-15k. Websites, logos, branding projects, etc. range anywhere between the $2-5k range. I generally like to plan these projects out at least 1 month in advance. Email is great. Then, we’ll set up a time to talk. Spending time outside of my bubble.